Aaaand, she's done it again. 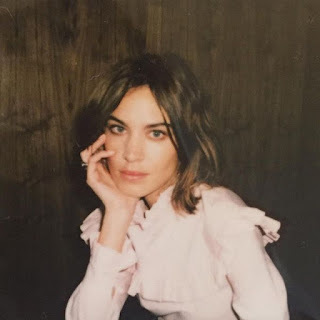 It seems Alexa Chung can simply do no wrong in the world of fashion. If last year's collaboration with AG jeans wasn't good enough (or more likely, cheap enough) this week marks the release of her debut collection with good old Marks and Spencer. Everyone's favourite style icon has dug into the depths of the M&S's fashion archives, scoped out the best pieces, and brought them back for your wearing pleasure. From trench coat, to bikini, Chung has revived some Marks and Spencer classics which will have women everywhere rushing through the M&S doors for more than just snack sized sushi for the first time since THAT skirt. The Harry blouse is a favourite among all fashion insiders and I'm sure will result in a few awkward moments this weekend when every. single. girl. at a party is wearing it. But that is the price we pay for eternally wanting to look like everyone's favourite IT girl.